Calocochlia is a genus of large air-breathing land snails, pulmonate gastropod mollusks in the family Bradybaenidae. Tthere are over fifty species of Calocochlia, the vast majority of which the collector will never encounter. A few are particularly large and colorful, notably Calocochlia festiva Donovan 1825, which comes in two color varieties, rose or yellow. C. festiva has only been recorded from Cayagan Province, northern Luzon Island, Philippines and no other information seems to be published. 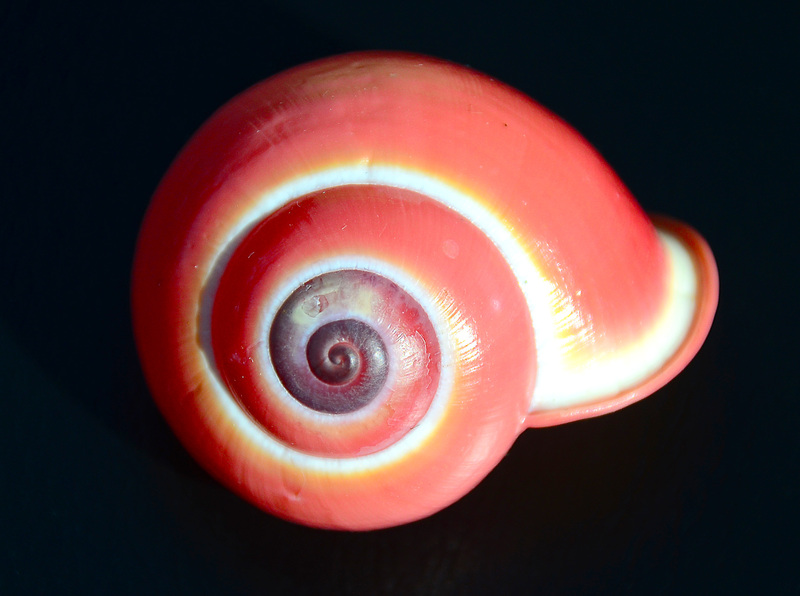 This months specimen is donated by Richard Kent and was purchased from Richard Goldman at the 2015 Broward Shell Club Shell Show.